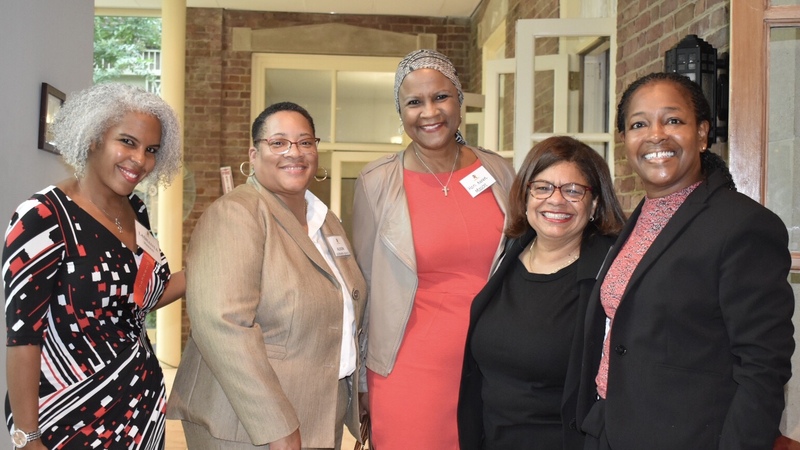 The Prince George’s County Bar Association (PGCBA) presented its Judge James H. Taylor Award to Prince George’s County Circuit Court Administrative Judge Sheila R. Tillerson Adams at its fall membership meeting held September 25, 2018, at the Newton White Mansion in Mitchellville, MD. PGCBA also paid homage to Prince George’s County Circuit Court Judge Toni E. Clarke upon her retirement. Maryland State Delegate Erek L. Barron, PGCBA President Judge Erik H. Nyce, MSBA Secretary Deborah L. Potter, and Jason A. DeLoach of the MSBA Board of Governors were among the several-dozen legal luminaries in attendance. Event sponsors included Joseph Greenwald & Laake, Planet Depos, Multi-Specialty Health Care, and Smart Start.